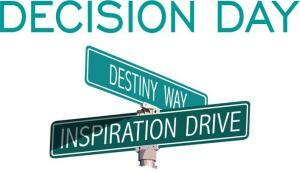 What are your plans for May 1, aka College Decision Day? Here is our suggestion: First, give yourself and your team kudos for the months of hard work and the outstanding efforts you put forth to serve the students you recruited while building the best possible incoming class. Next, celebrate those great new students that will be joining your campus family this fall. And then, if you are like the majority of college admissions teams across the country, you’ll go right back to work to secure more admitted students because there is still much work to do. The truth is that most colleges don’t meet their enrollment goals by May 1. 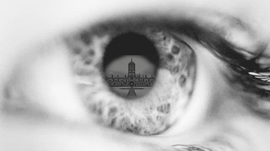 According to the “2014 Inside Higher Ed Survey of College and University Admissions Directors,” only 39% of colleges met their target enrollment by Decision Day in 2014 and industry insiders are projecting that even fewer will do so this year. For college admissions counselors and enrollment managers facing this challenge, we have some good news and important insights gleaned from our latest co-sponsored study, The Excitement Factor! Of the 12,000 students participating in the study, 20% committed to the college of their choice after the first of May. The late enrollers shared many of the same attributes as their peers, of course. But there were some areas where we found distinct differences that may help you in your outreach efforts. 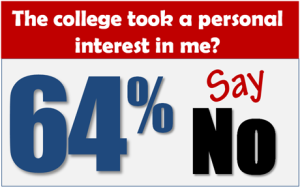 Excitement about Attending: Late enrollers don’t have as high of level of excitement about the college they select and are far less likely to experience a feeling of connection with the college than early enrollers. College Visits and Applications: Students who enrolled later were far less likely to have visited or toured the college they selected than their peers. Actually, they generally applied to and toured far fewer campuses than the students who made their decision sooner. Family Ties: Late enrolling students are more likely to choose a college that a family member has attended than other students. The Cost Factor: The students who enrolled later indicated that cost was slightly more important to them than the students that made their decision earlier. The late enrollers tended to have lower SAT scores than other students, but otherwise there were no large variances found in the demographics or psychographics of the two groups. As you review the pool of students still available to you, keep these things in mind. We know that excitement that about attending is a more powerful driver of college selection than cost or perceived quality of the institution and that a tour of your campus can create excitement. Are there students in your pool who haven’t visited your campus yet? Have you identified potential students with a family connection to your college? In The Excitement Factor!, four in ten students told us that their college choice was influenced by where a parent or sibling attended and late enrollers are even more likely to gravitate to the college that has a family tie for them. And lastly, if you are looking for a way to really connect with these potential students, we suggest that you make them feel wanted. Two-thirds of college-bound students told us that the colleges they were considering had not taken a personal interest in them at any point in the recruiting process. You may have heard the saying that “someone may forget what you said and forget what you did, but they will never forget how you made them feel.” Showing a personal interest in a student makes them feel good about the college and it has a strong positive correlation to yield. We help colleges and universities with their recruiting efforts every day, especially now during yield season. If we can help you, please let me know. Psychographic segmentation is an effective strategy that can be indispensable in higher education and can impact every stage of your funnel. Using this approach can be a very powerful tool in your mass marketing efforts and will make the conversations that your counselors have with students far more meaningful and persuasive. In Part 1, we focused on segmenting students by their fact-based or excitement-based decision making. Now, let’s delve into psychographic segments based on students’ personality traits; how the relationship between specific personality types are associated with what they desire in a college and what communications strategies are most successful in moving the needle of their excitement. What can you learn from psychographic segmentation? 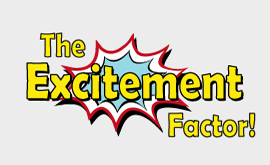 The 12,000 students who participated in our newly-released study, The Excitement Factor!, identified their personality traits for us. Then, we asked them to specify what they want in a college. We also explored the associations of those segments with the type of college students say they most desire. Warm and trusting: Career-oriented, friendly, values, safe, personal and affordable. Assertive extrovert: Social, career-oriented, fun, exciting, friendly, values, safe, personal, affordable and sports. In addition to analyzing the association between personality type and desired college environment, we examined associations with personality types and the most effective communications methods. For example, we found that “warm and trusting” types are more responsive to Facebook than any other personality group. And, whereas both “warm and trusting” and “assertive extrovert” types will respond positively to text messages from a college, the “analytical perfectionist” will likely be turned off by that style of communication. Imagine the power of knowing the personality traits of each student in your funnel. Admissions counselors can have a fuller understanding of each student they talk to so they can serve them best. They can know what they want and why. They can know how an individual student makes decisions and how to frame a value proposition that will most resonate with that person. A college that gathers this information early in the recruiting cycle (for instance, now for the Class of 2016) can tailor every communication with a prospective student in a highly-personalized way that will dramatically improve the quality and richness of your communication with them. To do this, many of of the colleges we work with use our Yield Enhancement System (YES) to uncover buying decision and personality-type segmentation. The intelligence uncovered is highly-valuable at every phase of the recruiting cycle, including the final weeks of the yield season. Some admission offices successfully use this information for more effective one-on-one interactions. Others fully-integrate the information into all communications by attaching a segment code to each record in a CRM system, thereby providing the trigger to drive specific types of appeals delivered through conversation, email, on-campus interactions, and so on. In the world of higher-education admissions, this is a very demanding, challenging and exciting time of year. You are in the final weeks of yield season for your 2015 incoming class and you are also beginning new efforts aimed at Fall 2016. With that in mind, I want to share some new information that can help you in both your short and long term recruiting efforts. It involves segmenting your pool of prospective students psychographically. It’s about finding out what’s going on in the student’s head, and how it will influence their college selection decision. Psychographic segmentation is an effective strategy that can be indispensable in higher education and can impact every stage of your funnel. By definition, segmentation simply involves dividing a broad target market into subsets of consumers (in our case prospective students), who have, or are perceived to have, common needs, interests, and priorities, and then designing and implementing strategies to make your personal and mass communications more effective to the various segments you have identified. We have. About 20,000 college-bound students have participated in our most recent national co-sponsored studies, Your Value Proposition and The Excitement Factor! In those two studies, we uncovered what is going on in their heads as they search for the kind of college they want. We gained insight into how they make decisions. Multiple psychographic segments emerged. For starters, The Excitement Factor! study uncovered three distinct segments of prospective students with regard to college selection: Those who make their decision based primarily on facts; those whose decisions are driven by their excitement about attending; and those who will make their college selection decision with an equal measure of facts and excitement. As it turns out, each group represents one-third of the total. Within the facts and excitement segments there are students who are just slightly more inclined to make their decision on facts or excitement. And there are students who make their decision exclusively on facts or excitement. In conversations with a prospective student, an admission counselor can ascertain which of the three categories the student falls into by asking a few simple questions. When you know where an individual student falls within this spectrum you can make every communication you have with him or her more meaningful. For instance, in conversations with a prospective student a counselor can present information (factual, experiential, or an equal mix) in the context that the student is most likely to absorb and find valuable. Campus tours can be segmented in a manner that will capture the student’s enthusiasm. Your emails will be welcomed and thoroughly read because the student will find them relevant. A similar process of segmentation and messaging is possible on a mass marketing scale, as well. You may already have in place the technology to personalize by segment everything from brochures and viewbooks to emails and text messages. The key is to gather the type of prospect intelligence that will accurately classify a student as being a fact-based, excitement-based or balanced decision-maker. To do this, many of our clients use our Yield Enhancement System (YES) to uncover this buying decision segmentation. A segment code can be attached to each record in a CRM system, thereby providing the trigger to drive specific types of appeals delivered through conversation, email, on-campus interactions, and so on. This blog post has focused on segmenting students by their fact-based or excitement-based decision making. In our next post, we will explore more psychographic segments in which students described their personality traits, and how those traits are associated with what they desire in a college, and what communications strategies are most successful in moving the needle of their excitement. The release of The Excitement Factor! report is creating a great deal of thought-provoking discussion among enrollment managers and higher education marketing professionals. The project uncovered a wealth of highly valuable information on how your ability to create student excitement about your college can drive your enrollment. You can CLICK HERE to receive an advance copy prior to its national release. Many students enter the college selection process with, at a minimum, one or two colleges that are at the top of their list of preferred schools. It’s inevitable that some students will replace their initial first choice college with another institution they find more attractive during the course of their selection process. But how often does this happen? More often than you think! Roughly 40% of students from the pools of public and private colleges swap out their former first choice school with another institution during their college selection process. This happens in about 25% of cases for prospective community college students. What motivates students to change their minds? And, more importantly, what can you do about it? As you probably suspected, one factor is cost. Among those students bound for four-year institutions, approximately half replace their first choice college for one that costs less. However, there are times when it is not going to be within your power to make the cost of your college feasible for a student you would like to enroll and they will find a better financial fit elsewhere. You can protect your school from losing prospective students by presenting your college’s value proposition in a powerful, highly-personalized way. You and your team have been working for months to create student excitement about your institution. Every promotional brochure, email, campus tour, press release, personal conversation, every single effort you have put forth to make your class, has been designed to emphasize your college’s unique attributes in a way that will spark the enthusiasm of your prospective students. But, it you aren’t asking direct questions about how a student feels, how excited (or not) they are about your college, how they feel about your college and the others they are considering, you will not learn what you need to do to change false perceptions and generate the kind of excitement that will lead to enrollment. We encourage you to step out of your comfort zone and ask questions of students and parents that you have never asked before. Don’t worry that those questions will be too intrusive. We have done years of research on this topic, talking with hundreds of thousands of college-bound students and their parents, and have never found these questions to be considered invasive. We do, however, hear frequent complaints from students that the counselor did not attempt to get to know them better. Best strategy: Listen to what they say. Listen for how you can help them. Ask penetrating questions and your prospective students will know that you truly want to get to know them more as a person. If you would like a copy of The Excitement Factor! as soon as it is released, you can CLICK HERE to send us an e-mail to put you on the distribution list.